For tests to laboratory standard and for the preparation of small quantities SIEBTECHNIK offers two different laboratory centrifuges. 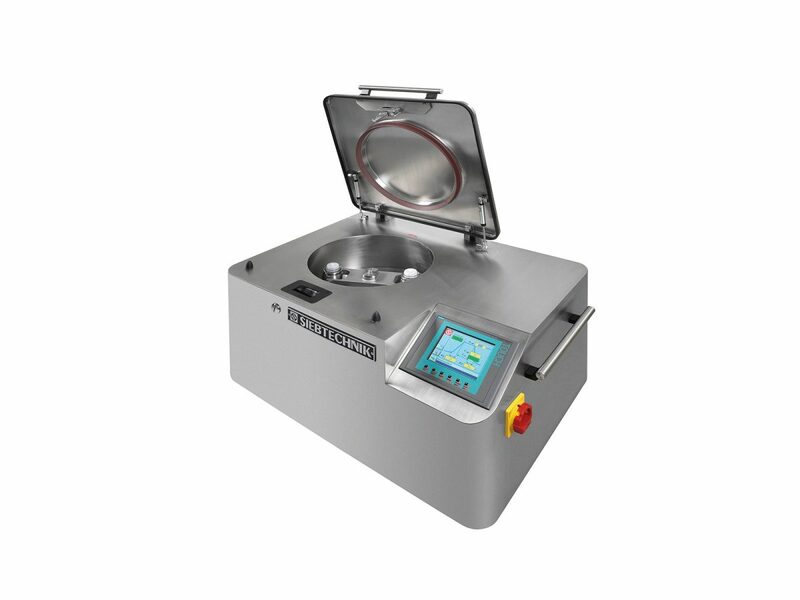 The SIEBTECHNIK CENTRIFLEX centrifuge is a laboratory centrifuge designed for many different uses. 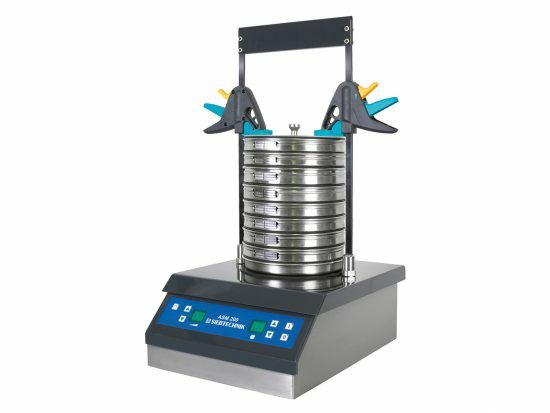 The CENTRIFLEX can be used to test the separability of suspensions in the centrifugal field. The choice of a type of centrifuge and the dimensional scaling of the centrifuge are possible on the basis of such laboratory tests. With our laboratory centrifuge filtering and sedimenting centrifuges as well as continuous centrifuges or centrifuges with batchwise operating mode can be simulated by appropriate tests. For this suitable beaker inserts are used in the centrifuge. The CENTRIFLEX can also be used for many kinds of preparatory work. 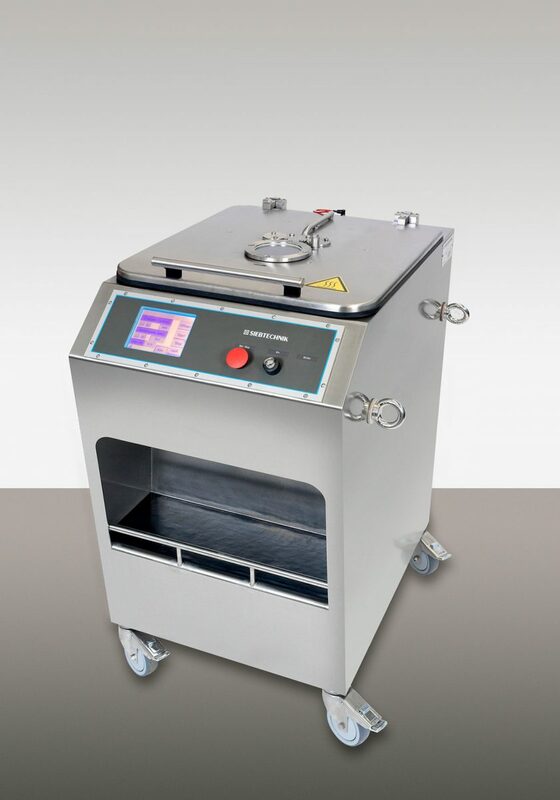 When fitted with the appropriate accessories, they can be used for filtration, washing, clarification, for the continuous separation of two liquids and for the preparation of emulsions. 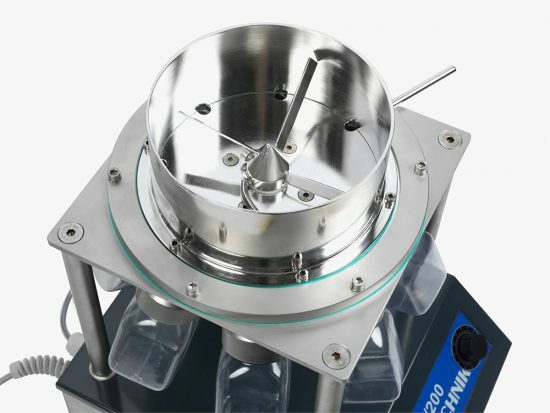 The CENTRILAB was developed on the basis of the CENTRIFLEX laboratory centrifuge and is used solely for testing the separability of suspensions in the centrifugal field. The choice of a type of centrifuge and the dimensional scaling of the centrifuge are possible on the basis of such laboratory tests. 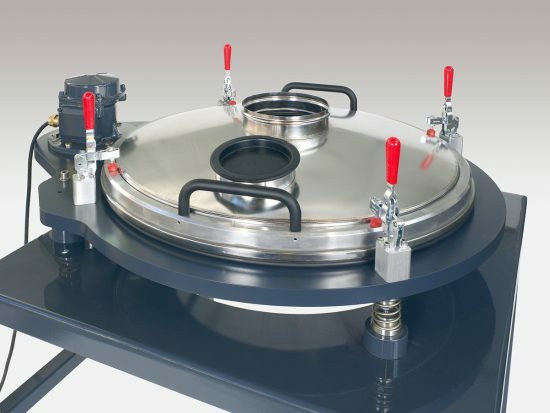 Practically every type of centrifugal separating apparatus can be tested and/or simulated very easily with the CENTRILAB, using a small quantity of material. Unlike the CENTRIFLEX the CENTRILAB stands out for its considerably shorter starting and stopping times. It is possible to accelerate the product to be tested to maximum g force in under a second. In this way continuous centrifuges, which as a rule are operated with short material dwell times, can be very precisely copied in the test or in simulation. The CENTRIFLEX has an extremely robust mechanical construction and a fully electronic control system. Practically every type of centrifugal separating apparatus can be easily tested and/or simulated with a small quanity of material. Essential operating parameters – g force, dwell time, cake thickness – can be precisely simulated in the test. The CENTRIFLEX is accelerated to nominal speed in a very short time and braked to a standstill electrically. Here a slow run-down or a fast stop is possible. 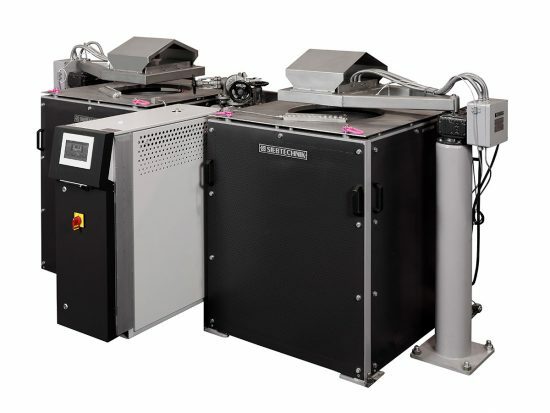 Automatic fast-stop enables precise centrifuging times to be achieved. 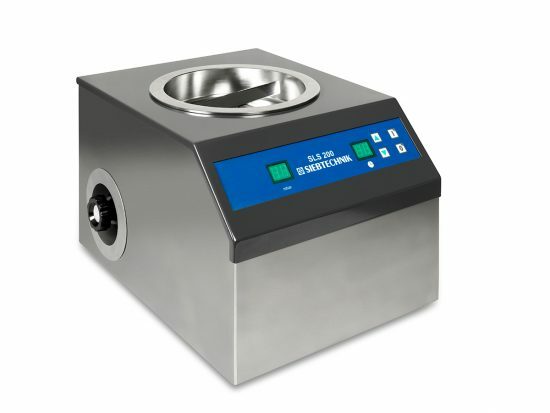 Control of the centrifuge is by means of a easy-to-read touch screen control unit with digital display of speed, centrifuging time and operating status. Automatic timing or manual operation with time-keeping can be set. The CENTRIFLEX is designed as a free-standung unit for operator-friendly setting-up and filling. The holding recess at the front of the housing offers a protected set-down place for receptacles for centrate and filtrate disposal. 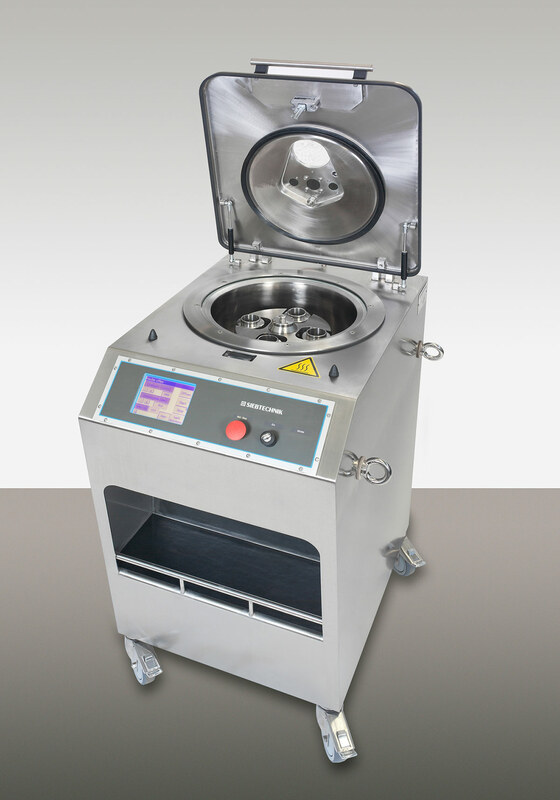 Naturally the centrifuge is fitted with an electric cover interlock so that access to the rotating parts is possible only when the unit is at a standstill. 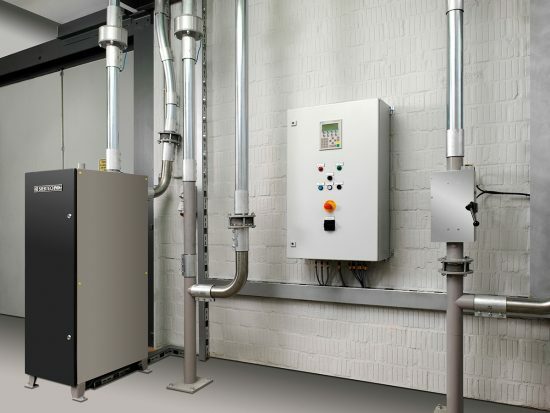 The fitting variants menu item denotes the the many possible means by which the CENTRIFLEX can be used in the laboratory and technical centre for the generation of smaller product quantities. Acceleration and dwell times can be precisely preselected on a touch screen to the nearest tenth of a second. In order to avoid product swirls during analysis, the CENTRILAB is fitted with a specially developed soft-start-stop function. The CENTRILAB is is designed as a portable table-top unit. Naturally the centrifuge is fitted with an electric cover interlock so that access to the rotating parts is possible only when the unit is at a standstill. 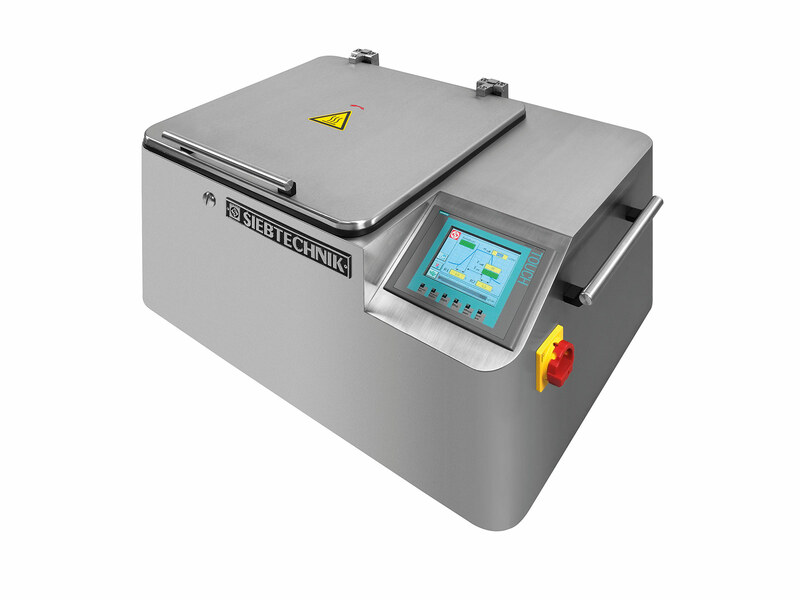 For testing the sedimentation behaviour of suspensions or filtration behaviour of solids cakes. The centrifuge’s bottle holder holds 2 bottles or 4 bottles each with a capacity of 150 ml. Depending on the application, solid beakers or filter beakers are used. If beakers are used, the centrifuge can be additionally fitted with a co-rotating feed system so that it can be filled while in operation. With the filtration beaker insert washing tests can also be conducted. Windows in the beaker sides and a special stroboscopic lamp (both optional) enable filtration and sedimentation processes to also be monitored and assessed visually. 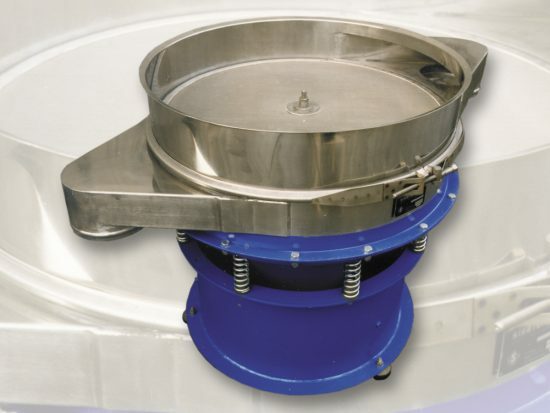 The screen centrifuge insert can be used for the separation of solids from liquids. For this purpose the bowl is fitted with a wire mesh inlay and a filter bag (CONIDUR®, laser and slotted-screen inserts can also be used). After ejection of the liquids the solids cake can also be washed and/or neutralised with the aid of a spray pipe. or additionally with peeling tube. 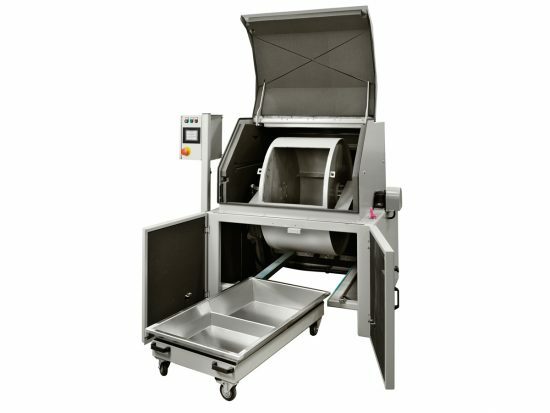 As a sedimentation centrifuge, this is used in many different ways to clarify liquids, particularly if the solid matter does not settle readily and requires longer centrifuging times. The liquid rising to the surface can be discharged through a peeler tube after the solid matter has settled. 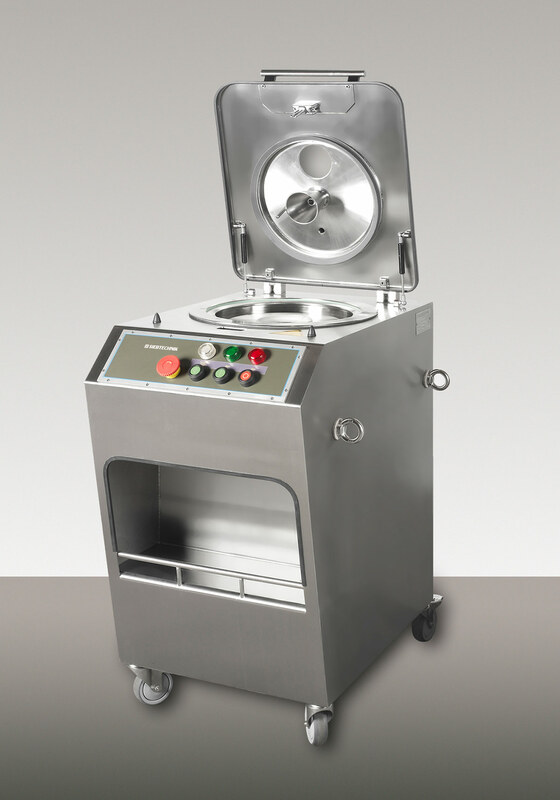 Without the peeler tube the solid bowl can also be used as an overflow centrifuge for decanting liquids.